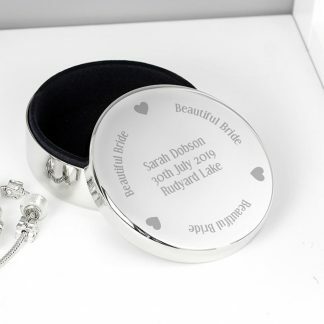 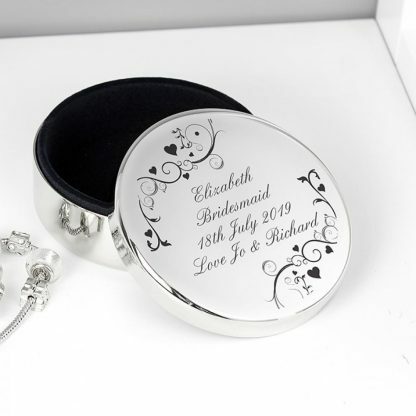 Add a touch of modern chic to her dressing table with this Personalised Black Ornate Swirl Round Trinket Box. 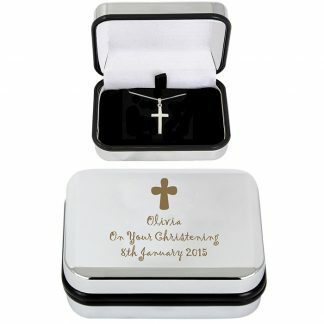 You can personalise the trinket box with a message over 4 lines. 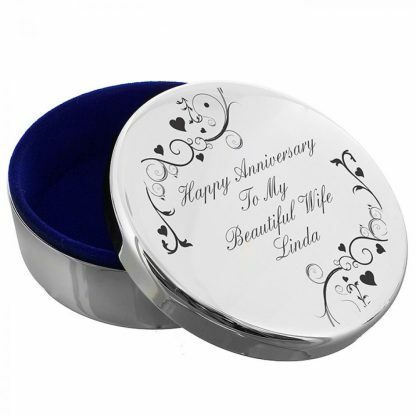 Wedding gifts, Thank You presents, Engagement gifts, Anniversary presents.